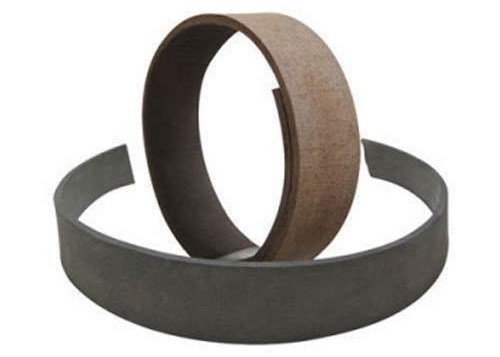 We deliver a complete range of roll formed rubber based friction products. Roll moulded and pressed friction materials can be supplied in either flexible or rigid forms. Semi-cured qualities of the roll moulded friction lining are available ready for heat bonding to a desired radius or shape and products with rivet holding capacity are also available. Our range of moulded friction lining is non-asbestos and includes both non-metallic and metallic formulations offering a variety of friction levels and performance characteristics. Reliability and consistency are guaranteed thanks to over 20 years of manufacturing experience of our partners and the use only of the highest quality raw materials. Rolls are supplied up to 12.7mm thick and are up to 200mm wide, alternatively flat sheets are manufactured up to 330mm wide. Products can also be supplied as rings, segments, radiused linings and cone linings to suit customer drawings.